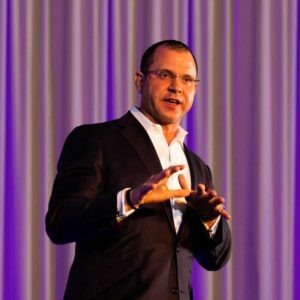 Ben Newman is a highly regarded Performance Coach, International Keynote Speaker, and Best-Selling Author, whose clients include Fortune 500 companies around the world, business executives, sales organizations and professional athletes in the NFL, PGA, NBA, MLB and NCAA. Ben is also a contributor on Forbes.com. To read his articles please visit Forbes.com and search Ben Newman. Recently, Ben joined the kickoff of Jon Gordon’s Power of Positive Summit that included Tony Robbins, Michael Hyatt, Lewis Howes, Tamika Catchings, Andy Andrews and other great speakers from around the world. Ben currently serves as a Mental Conditioning Coach for the 17-time National Champion Alabama Crimson Tide football team. In addition, he also serves as the Performance Coach for the record setting 6-straight Division I National Football Champion North Dakota State Bison. Thousands of executives, entrepreneurs, athletes and sales teams from around the globe. Ben’s authentic, powerful, and engaging keynote speeches have become nationally recognized. He has shared the stage with some of the top keynote speakers including Jerry Rice, Ray Lewis, Tony Dungy, Colin Powell, Brian Tracy, Ken Blanchard, Jon Gordon, Dr. Jason Selk, Floyd Little, Aeneas Williams, Walt Jocketty and other leadership keynote speakers and legends in the world.